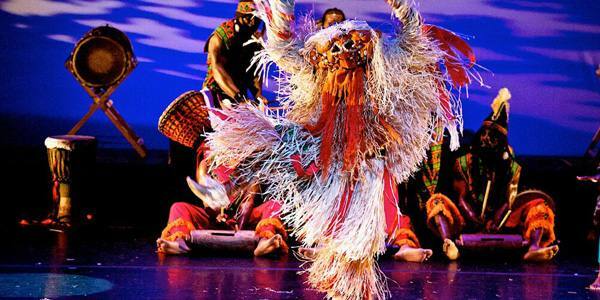 The National Theatre Troupe of Ghana will visit Obafemi Awolowo University, Ile-Ife from Wednesday 28th to Friday 30th October, 2015. The thirty member Troupe will arrive on the 28th and Depart on the 30th. While in the University, the Troupe will among other things, pay a courtesy call on the Vice Chancellor and be treated to a welcome performance by the Awovarsity Theatre. It will also conduct a workshop on Performance Traditions and Contemporary Theatre Practice with staff and students of the Department of Dramatic Arts. The Troupe will perform a stage play entitled Firestorm,written by Sackey Sowah on Thursday 29th October at Oduduwa Hall by 7:00 p. m. The performance is free. All members of the University community are hereby cordially invited to watch the play. The photo is really impressive. I am sure that performance will be amazing as well!